Eat up elevation gain. That’s the slogan Millet uses for the Touring Intense Jacket. It certainly won’t prevent you from doing such, since it’s an ultralight stretch top designed for high-performance touring and racing. The X-Fit™ cut hugs your body while the mesh back vents your sweat. Two skin pockets on the chest reduce the need to take off your pack. An inside beacon pocket is a nice touch, along with an extra outside zip. The Energy Knit fabrics supports your muscles and is abrasion resistant. 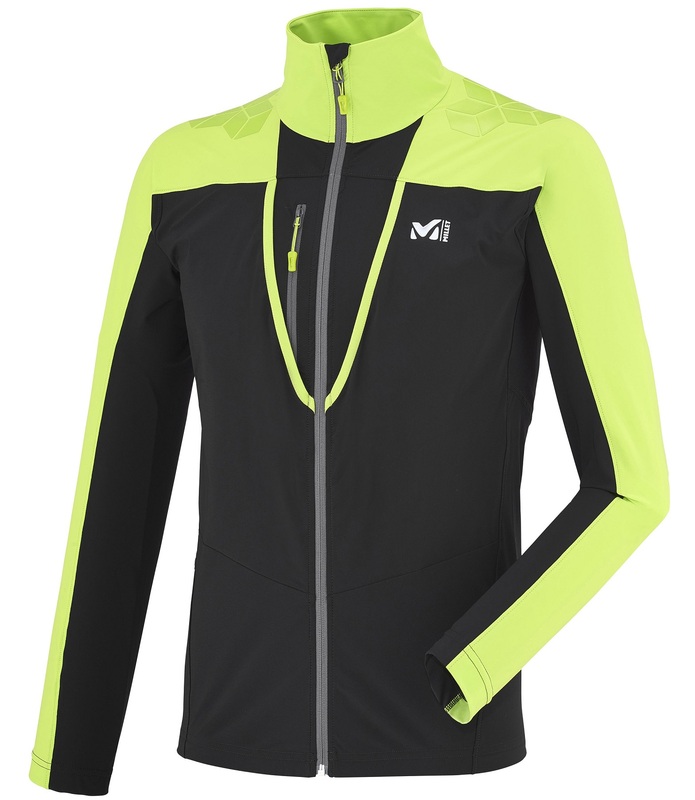 Add it up, and you have a pretty intense jacket for touring and skimo racing. Thanks Millet. 3D Alveole Mesh back panel wicks moisture away from where it tends to build. Two stretchy chest pockets are a good place to put skins on the downhill. 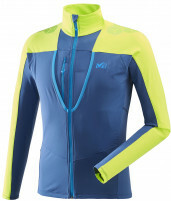 Body-hugging X-Fit design is comfortable and zips on with a center closure. Non-slip gripper elastic hem and adjustable cuffs keep everything in place. Direct-access chest zip pocket and internal beacon slot keep things smooth. Silicone grips helps keep lightweight backpacks in place on your shoulders. Rounded out with an adjustable collar and hi-vis safety markings for night skins. Option to match with a pant to make a training suit. Any chance this will be showing up in a medium anytime soon? Hi Aaron, not until next season unfortunately. Is the internal beacon pocket zippered? Hey Aaron! Nope, it's a dump pouch style on the left side of your rib cage just below your heart (avoids your backpack straps). The top of the pocket has an elastic bungee to keep it closed and deter the beacon from falling out.